The oldest island in the Hawaiian archipelago, Kauai is located in the northernmost reach of the chain. It is characterized by emerald valleys and lush flora, making its nickname, Garden Isle, well-earned. Kauai’s mountainous terrain make road trips around the island quite the task, with some destinations only reachable by air or sea, but everyone can agree the journey to tour Kauai is worth it. Kauai is the fourth largest island in Hawaii. During Captain James Cook’s expedition, Kauai was recorded to be the first Hawaiian island he found. During the time of Kamehameha the Great, Kauai was fiercely ruled by Kaumuali’i, who resisted the advances of his foe. King Kamehameha tried to take Kauai twice but failed in both attempts. It was in 1810, however, when Kaumuali’i chose to join the Kingdom of Hawaii to avoid future conflict. When he died in 1824, Kauai ceased to become a vassal. The Kingdom of Hawaii took over to rule the island. Like the rest of the Hawaiian islands, Kauai is volcanic in origin, its geography shaped by explosions. The end result is a bountiful island popular among adventure seekers from all over the world. 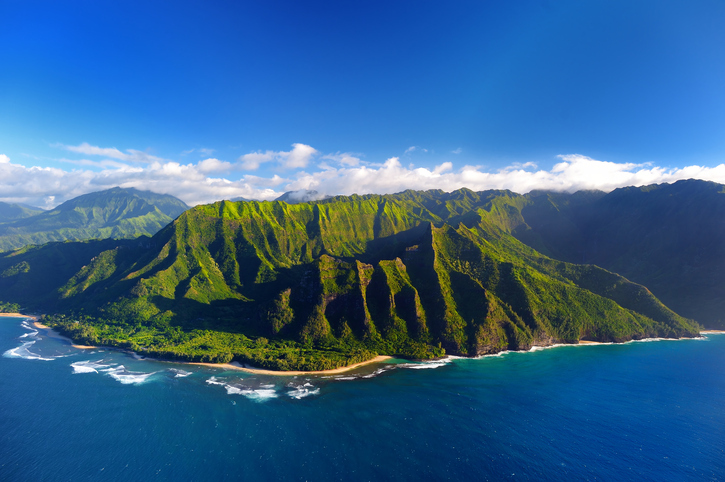 Kauai is known for world-famous attractions such as Kokee State Park, Wailua River, and Poipu Beach. The largest city in Kauai is Kapa’a, and its county seat Lihue. Princeville was a former capital of the island. 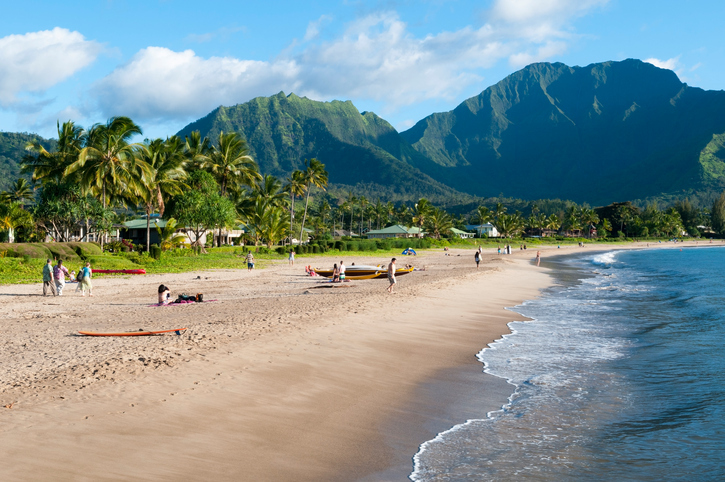 Hanalei Bay is a short distance from Hanalei, a laidback surfer town. The fourth largest island in the Hawaiian archipelago is divided into several regions: North Shore, East Side (also known as Coconut Coast), Lihue, South Shore, Na Pali, and West Side. 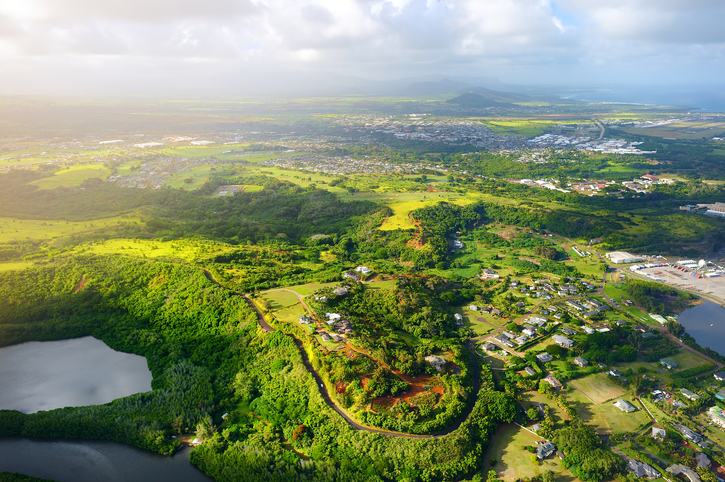 Each of these distinctive regions boasts a diverse range of real estate options, making Kauai real estate one of the most coveted in the Hawaiian islands. Housing options in Kauai include single-family homes, townhouses, condos, apartments, waterfront property, and luxury real estate. Kauai also offers ranches, farms, and vacant land. Investment opportunities abound in Kauai real estate, whether one seeks to permanently live in the island or turn his investment into a vacation home or vacation rental. Communities in Kauai include Hanalei, Anahola, Hanapepe, Anini Beach, Koloa, Princeville, Kalaheo, Lihue, Lawai, Kapa’a, Kawailoa, and Kawaihau. A closer look on these real estate markets will reveal more about Kauai real estate and Kauai homes for sale. Napali Coast has often been described as heaven on earth. An outdoor lover’s paradise, Na Pali is a treasure trove of natural wonders, from verdant valleys to sea caves. Popular activities in the state park include taking the coastal Kalalau trail, touring the coast by boat or via plane/helicopter, and camping. Located on Kauai’s western region, Waimea Canyon is dubbed as the Grand Canyon of the Pacific. According to experts, the whole canyon stretches up to 10 miles and is reportedly 3,000 feet deep. It was carved by the Waimea River, the longest river in the archipelago. Attractions within the state park include several waterfalls and two lookouts: Puu hinahina and Puu ka Pele. Waimea Canyon is a favored destination for advanced hikers because of its network of difficult hiking trails. Kauai boasts two music festivals: Prince Albert Music Festival and the Kaua’i Mokihana Festival. The former is held annually in Princeville and shines the spotlight on classical and traditional music. Meanwhile, the Kaua’i Mokihana Festival is a week-long event filled with cultural exchanges, such as lectures, dance and music performances, and hula competitions. One of the several state parks located in Kauai, Ha’ena is approximately an hour away from Lihue. Some of the park’s most famous attractions include its hiking trails and its collection of caves estimated to be around 4,000 years old. From July to August, Ha’ena is also a popular destination for snorkeling. The best way to experience Kauai is to live in it. Learn more about Kauai real estate and Kauai land for sale. Get in touch with me at 808-214-0302 or Greg@IsleLuxury.com.